Helpful tool for anyone from beginner to advanced.Several trainers with different specialty areas to meet your scheduling and fitness needs all with certification. Pick up your personal training tri-fold at the YMCA courtesy desk for full background on our trainers and more information! 1. Register for your initial assessment at the courtesy desk and pick up a packet to fill out. Initial assessment required before you can begin training. 2. Turn completed packet back in at	the courtesy desk, and we will contact you within 72 hours to set up initial meeting. 3. After your initial assessment is complete you and your trainer can decide what package will best fit your goals. 4. Visit the courtesy desk to purchase your training package and begin meeting with your trainer! The program is led by a trained Lifestyle Coach in a classroom setting delivered over a oneyear period, 25 one-hour sessions in all. Research by the National Institutes of Health has proven that programs like the YMCA’s Diabetes Prevention Program can reduce the number of new cases of type 2 diabetes by 58% overall and 71% in adults age 60 and over. 1 The YMCA’s Diabetes Prevention Program uses a Centers for Disease Control and Prevention (CDC)-approved curriculum and is part of the CDC-led National Diabetes Prevention Program. About 86 million adults in the United States have prediabetes. In the state of Illinois, the CDC estimates that 12.8% of the population already have diabetes. The Y is working to provide quality preventive programming for your patients who are at risk for developing type 2 diabetes. The goals of the YMCA’s Diabetes Prevention Program are to reduce individual weight by at least 7% and to build up to 150 minutes of physical activity per week for the purpose of diabetes risk reduction. These goals are achieved by focusing on behavioral modificaion around healthy eating and physical activity We are currently enrolling participants for classes. 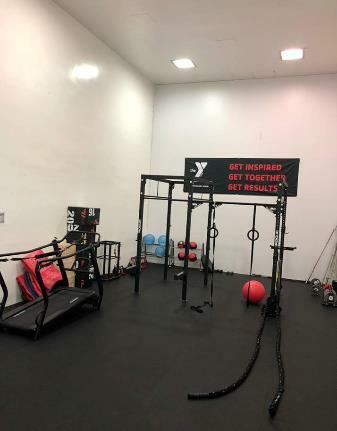 Participants do not need to be members of the YMCA of Kewanee and participants receive a free membership as part of the program. There is a program fee however, financial assistance is available through the Y. 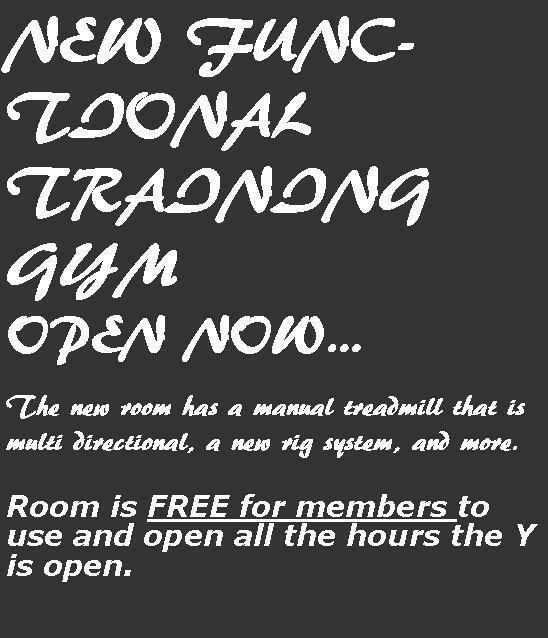 LAND FITNESS For age 14 & up; Located in West Room unless otherwise stated. Body Fusion: strengthen all major muscle groups using a variety of equipment & short cardio bursts. A fun exciting way to keep your workout fresh. Instructor's Choice: Instructor will decide the workout of the day. Mix it up, avoid plateau & see the results your body is craving. ZUMBA: Perfect for everybody & everyBODY! Take the "work" out of workout, mixing low & high intensity moves for an interval style, calorie burning dance fitness party. Mind Body Yoga: a blend of classic yoga postures with attention to breath will open your hips, chest, heart and mind. Improve cardiovascular health, increase strength & stretch muscles to new lengths as you tune into yourself with Mind Body Yoga. Aromatherapy included. Don’t forget your Yoga Mat!! SilverSneakers Classic: Have fun & move to music through a variety of exercises designed to increase muscular strength, range of movement & activities for daily living. Hand-held weights, elastic tubing with handles & a SilverSneakers ball are offered for resistance. A chair is available if needed for support. SilverSneakers Yoga: will move your whole body through a complete series of seated and standing yoga poses. Chair support is offered to safely perform a variety of seated & standing postures designed to increase flexibility, balance and range of movement. Restorative breathing exercises and final relaxation will promote stress reduction and mental clarity. Step to the beat: Choreographed routine stepping up and down from the platform in different patterns to boost your heart rate, breathing, and strengthening your muscles. Youth Fitness & Conditioning: This program is designed to promote sound principles of flexibility, strength training, aerobic endurance and muscular conditioning. Emphasis is placed on proper form and technique as well as YMCA safety and etiquette. Intro to matrix equipment and functional training. Warm up is an important part of your workout! Arriving late? Kindly take a spot in the back so you don’t disturb the class in progress. Classes are a group activity; follow the routine to the best of your ability. Adaptations offered to fit your needs. For the safety of participants it is important that the class can hear the instructor, please keep talking to a minimum during class. Feel free to schedule extra stretching time with your friends after class to chat! Wait for previous class to finish before entering the room to set up. Wipe down equipment you use after class with the provided wipes. As a courtesy to others who may have allergies, please avoid wearing heavy perfume/cologne. Any class offered outdoors may be relocated or cancelled due to weather. Call the Y to confirm. Sweat towels are provided & Don’t forget your water bottle!! or you can grab a group of up 3-6 friends and schedule a time that fits for you! Indoor cycle class for adults (16 years with a parent or 18 years and older) that simulates outdoor cycling. This sweat-dripping calorie burning workout combines a calming environment, camaraderie, positive energy, and a mental journey to still the mind, and stir your soul. The best part... you work at your own pace! All fitness levels welcome in this non-competitive environment. Ride as a pack with a common goal: become fit, healthy, and happy. Spin is more than a workout, it's a philosophy to live by, a journey moving towards a healthier mind & body. SCHEDULE: On group fitness schedule at the courtesy desk, or click here. CLASS DESCRIPTIONS: on the back of class schedule available at the courtesy desk. Register for upcoming week classes every Monday for Y members and Friday for non-members. Register and pay for each class you want to attend. There are 12 slots open for each class. Registration may be done by clicking here., or in house at the Y. All riders should carefully read our SPIN 101 prior to attending their first class available at the courtesy desk.